A sweater for my fly junk! 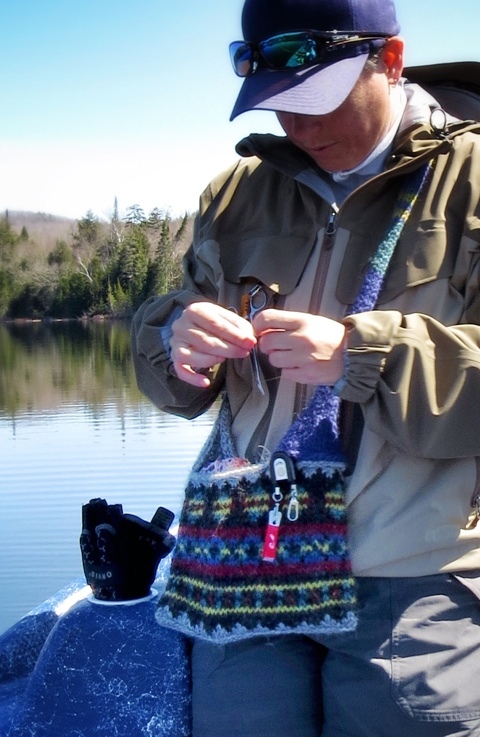 Maria knitted this for me incorporating the lively color spectrum of the beloved brook trout. Wow! That is beautiful. Congratulations to Maria. Perhaps a nice compliment to your reel sweater! 😉 Had the boat on Streeter today and saw 3 rises in 3 hours. Couldn’t get anyone interested…. How beautiful, think she might be onto something, and should sell them.